The Kurds are represented in Geneva! Some media outlets have published statements by government officials of various countries expressing dissatisfaction that Kurds are not represented at Geneva talks. We, the office of foreign relations of the Kurdish National Council in Syria, have emphasized in all our talks with the Syrian opposition and with other negotiating parties from Geneva that all opposition groups and ethnic groups must be represented in the negotiations for a solution to the Syrian conflict. We have repeatedly expressed our wish that the Kurds should form a uniform delegation. The Kurdish National Council in Syria informed the group from Riyadh of its critique of the Riyadh statement – especially the small number of Kurdish participants during the Riyadh conference. We have also called for the fair treatment of Kurds and the consideration of the Kurdish question in Geneva. We herewith declare for the international public that the Kurdish National Council should represent the Syrian Kurds at the Geneva talks. The delegates of the Kurdish National Council have collected a total of 625,400 signatures within the Kurdish population of Syria; signatures that call for the National Council to insert the Kurdish question into the negotiations and find a fair solution to the Kurdish question. 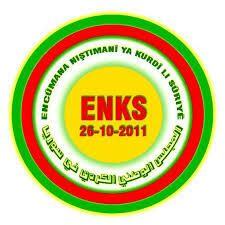 The Kurdish National Council is committed to the rights of Kurds. We are convinced that the Syrian crisis can only be resolved through negotiations. These talks should continue until a ceasefire is negotiated and a transitional constitution is adopted that satisfies the ethnic and confessional plurality in Syria. We advocate a secular, federalist Syria where Kurds enjoy their rights in accordance with international treaties.